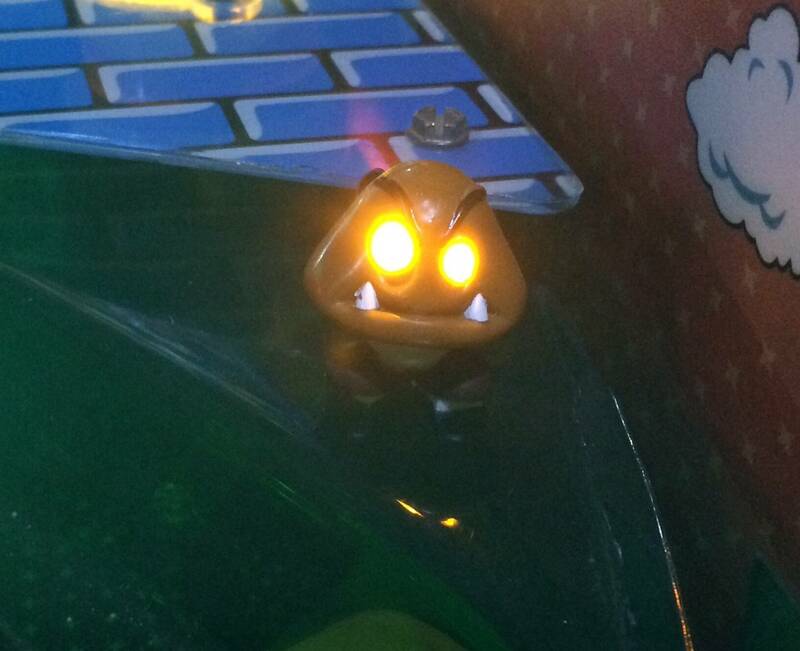 Hi guys for is my Super Mario Bros Pinball light up Goomba Eyes Mod. 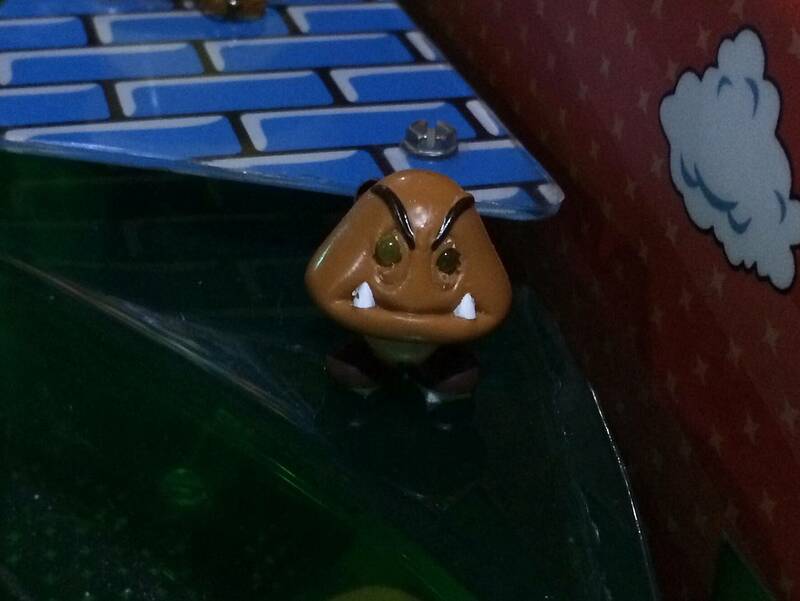 This Goomba sits near your green ramp in your Super Mario Bros. pinball machine. When the flasher behind him lights up so does his eyes with an eerie fun yellow glow (see pics). 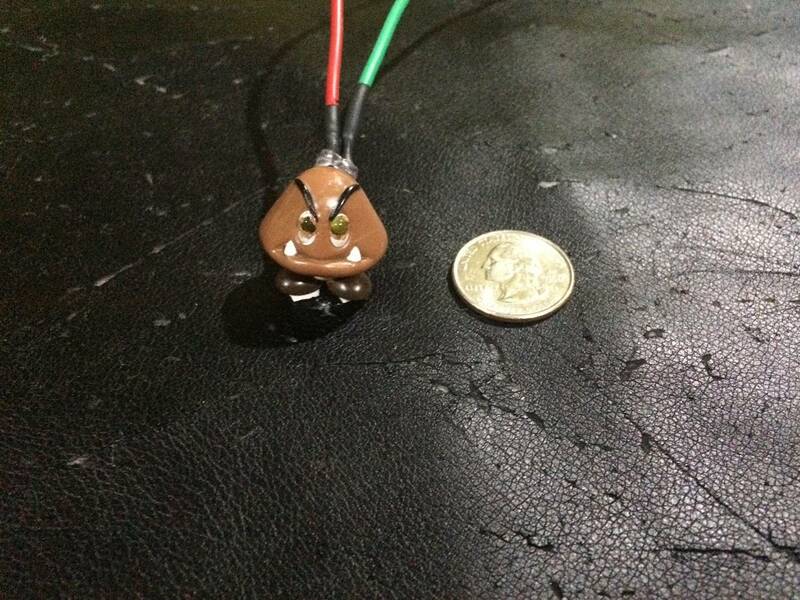 This little guy lights up other times too when different things happen in the game. Easy to install with NO permanent changes to your machine. So no soldering or drilling of any kind. Wires run underneath the plastic and take minutes to install. I will email anyone that wants one step by step directions with pictures on how to install him. 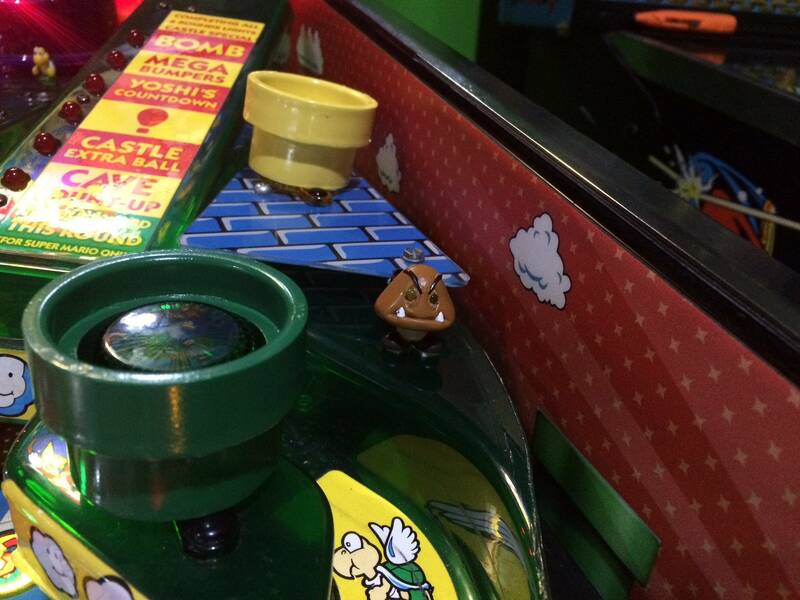 With all pinball mods I take no responsibility for any damage someone does to themselves or your machine. 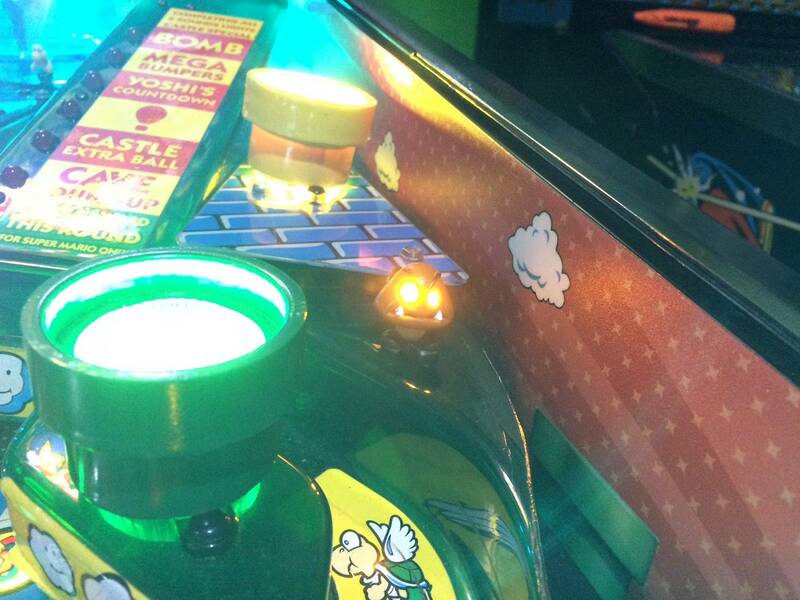 Also check out my light up Boo Ghost Mod, Flasher Warp pipe cap/covers and Replacement Ball though Warp Pipe tunnel. $65 each with free shipping to US Pinsiders and discounted shipping for out of the U.S. Pinsiders. Please PM me for a shipping quote if you're outside the U.S. Will combined shipping if you buy any of my other mods too. These are phillymadison's all time market stats. That poor goomba. He's seen some stuff. Just some constructive criticism. GLWTS. White could be easily done too.